American Manganese Progress Report – American Manganese Inc.
Larry W. Reaugh, President and Chief Executive Officer of American Manganese Inc. (“American Manganese” or “AMY” or the “Company”), (TSX.V: AMY | OTC US: AMYZF | FSE: 2AM), would like to report that, over the past eight months, the company has allocated a bulk of their existing funds on developing an Advanced Materials Pilot Plant to treat scrap cathode material. The expenses include specialized equipment costs, feedstock delivery, and patentable improvements to the flowsheet which has been adapted to process cathode scrap material that the Company has sourced from a US based recycler. The improvements incorporate steps to separate the aluminum foils and polymer separators while enabling the valuable active material to be recovered. In addition, revisions have been accomplished to improve recycling efficiency (in terms of less unit operations, reduced by-products, improved filtration and rinsing requirements). Additional expenses have included business development projects to ensure AMY’s advanced recycling technology lends itself to the growing lithium-ion battery market. The recently announced private placement is intended to support the Pilot Plant and mission-critical work outside the Pilot Plant scope, identified due to the positive results of our development program. AMY has ensured that a variety of cathode chemistries, such as LCO, NCA, and NMC can be effectively recycled using our advanced patent pending technology, despite the global push to reduce cobalt content in batteries. The Company has completed unplanned testing on a variety of cathode materials sourced from global suppliers. The testing, though time-consuming and costly, has been well worth the exercise because it has demonstrated the potential of the AMY recycling process. 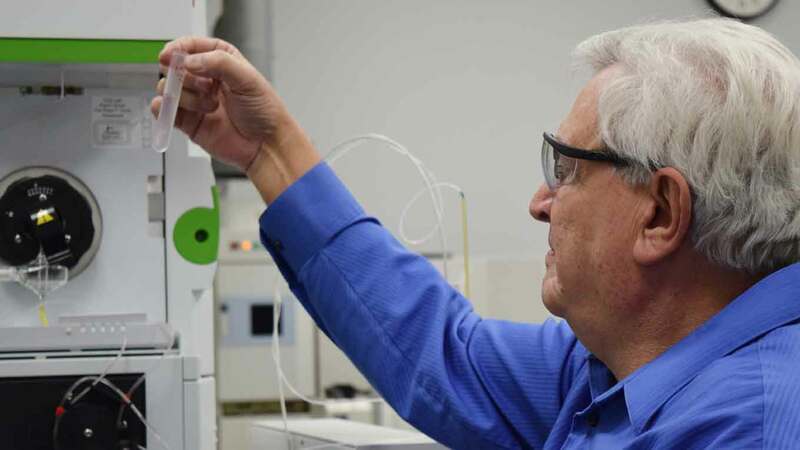 In addition, testing results have helped gain valuable connections with industry leaders and an optimistic perspective on the spent lithium-ion battery market. Kemetco has been working on complete battery recycling solutions that include anode recycling. The Company has successfully addressed two of three major milestones involved with completely recycling lithium-ion batteries. AMY is moving forward with the last process challenge technology that involves the actual disassembly of the battery cells.